A software-defined data center gives users powerful capabilities, but it's not the right answer for every organization. Look closely and plan carefully before committing. Software-defined data centers remove the hardware-specific aspects from the data center and put software in charge. This is, in theory, what happened with server hardware platforms when virtualization came into the data center and was applied to server hardware platforms. As with virtualization, some aspects of a software-defined data center will work well, while others simply won't be a good fit. As you go about your software-defined data center (SDDC) planning, don't be surprised if certain things start to sound familiar. They should. 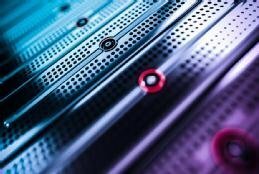 The reasoning that businesses use to adopt software-defined data center technologies is not that different from how cloud computing was first positioned. And as with cloud, the results are somewhat mixed. Now as you look to virtualization, the cloud or SDDC, it's important to look at your starting point before you look at where you might end up. SDDC technologies offer businesses great potential for increased greater agility and scalability. That potential, though, raises an interesting question: Do you need those things? A lot of attention is focused on creating IT environments that are agile and scalable, and some will argue that these attributes are essential to the survival of a business. But not all companies are focused around IT. For many, IT is a business tool or driver -- and not a focal point. Understanding IT's role in your business is a critical starting point in your SDDC planning process. A software-driven IT operation might be a good fit for SDDC. But, like the cloud, when the layers are pulled back far enough, it becomes clear that not everyone benefits equally. There is no easy template for making this determination about a next-generation data center architecture. For an IT-centric business, the SDDC questions will be relevant; many of them will find that implementation makes sense. Organizations that focus on other things -- such as healthcare, education or manufacturing -- face more complicated questions. And SDDC planning might well take place at the same time as conversations about using cloud-based resources. These simultaneous discussions will inevitably complicate a final decision. Another challenge for organizations that aren't built around IT is that technology infrastructure is typically a cost center rather than a profit generator. For these sorts of businesses, large-scale investments in modernization are rarely easy, and decision-makers often struggle to see how the agility and scalability enabled by a software-defined data center should be business priorities. Any large-scale data center change -- and especially one to a software-defined model -- ideally should show both short- and long-term savings. The more immediate savings might come from a combination of reduced hardware maintenance contracts, fewer overall staff hours and less support of hardware resources and consumption. The long-term savings result from increased agility to meet needs and from future capital savings. As critical as IT can be, it's important to balance your organization's core needs with what the SDDC can enable. The one thing you absolutely don't want to do is leap to a software-defined data center simply because that's what your competition is doing. A key step in your SDDC planning is to find areas where overlap in updates and upgrades will occur. If you have done the homework and found that the software-defined data center path is right for your organization, then you can start the most critical phase of SDDC planning. Assess where you are with your existing efforts, what makes sense to approach next and what the final result will look like. Be sure this plan is in place and works in parallel with your existing efforts to keep your IT infrastructure running in its day-to-day operations. For most organizations, it's not an option to simply exchange a traditional data center for a next-generation data center architecture. This is akin to replacing a jet engine while the plane is in the air. A key step in your SDDC planning is to find areas where overlap in updates and upgrades will occur; use those opportunities to start to align your existing data center with the SDDC implementation plan. It's worth taking a moment to think about how a software-defined data center is exactly what its name says it is: a data center based in software. This means hardware-based skills will become, at least to some degree, less important. The data center of tomorrow simply won't have as much hardware in it. As a result, roles that were heavily focused on hardware maintenance will be phased out. That does not mean the design and engineering of hardware goes completely away. In fact, the engineering could become more critical since systems share more of a common footprint. A greater emphasis on software -- and lesser emphasis on hardware -- can be a big shift for your data center personnel. They will be tasked with keeping a foot in both worlds. Skill sets will begin to focus more on the integration of systems, and automation and scripting will become key pieces to the SDDC. To make this transition, you'll likely need to invest in some form of training. As always, a key question is: How long will all this take? What makes the answer so difficult is the reality of an environment that isn't static. Your data center will continue to change, and you will have to adjust continually to stay aligned with your SDDC planning. Still, it's important to have an end date. Otherwise, you'll have a never-ending project that consumes resources and energy over time. Start with a multiyear plan with six-month adjustments. This gives your organization enough time to accomplish critical steps and regularly communicate milestones and adjustments to the business so that no one is surprised. With any journey, you should expect some roadblocks. These might come in the form of compatibility issues, costs or personnel concerns. Work with your staff so that they know what the direction is. Work with management so they know and understand the concerns. When people in all aspects of your business understand and focus on the issues, they won't derail your organization's journey to the software-defined data center. What are the biggest questions your organization will need to answer in its SDDC plan? If software is eventually going to rule the data center, you'll want to form a plan that gets you from here to there. Be thorough and deliberate. And start now. There are many advantages to SDDC adoption, but concerns over management tools and evolving IT skill sets have hampered deployment -- at least so far. During IT budget planning for a software-defined data center, maximize value by accounting for predictable demand spikes, and evaluate resources to avoid losing funding later on. my question is what there are planning for the SDDC next-generation?